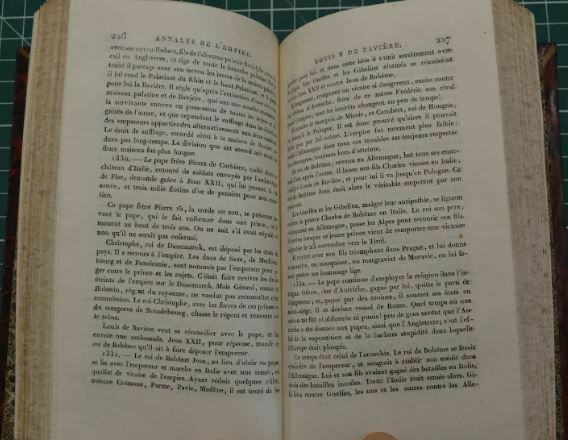 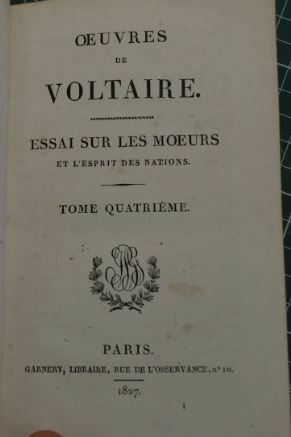 According to Victor Hugo: ‘To name Voltaire is to characterize the entire eighteenth century.’ Goethe regarded Voltaire to be the greatest literary figure in modern times, and possibly of all times. 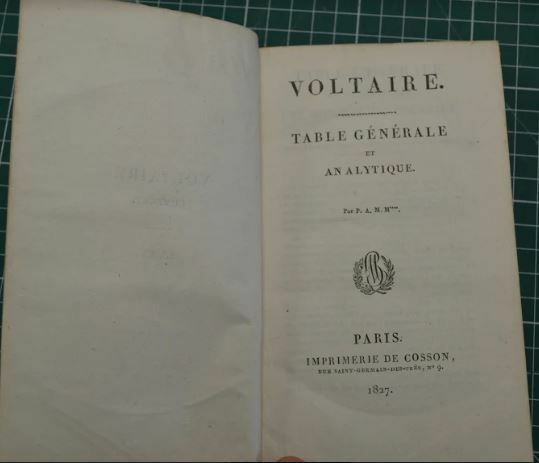 According to Diderot, Voltaire's influence on posterity would extend far into the future. 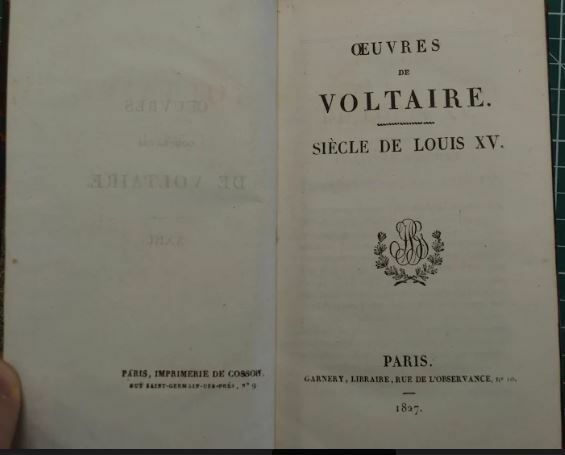 François-Marie Arouet (21 November 1694-30 May 1778), better known by the pen name Voltaire, was a French Enlightenment writer, essayist, deist, and philosopher known for his wit, philosophical sport, and defense of civil liberties, including freedom of religion and the right to a fair trial. 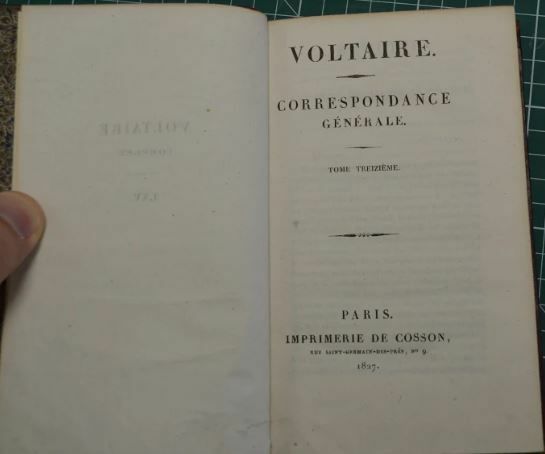 He was an outspoken supporter of social reform despite strict censorship laws in France and harsh penalties for those who broke them. 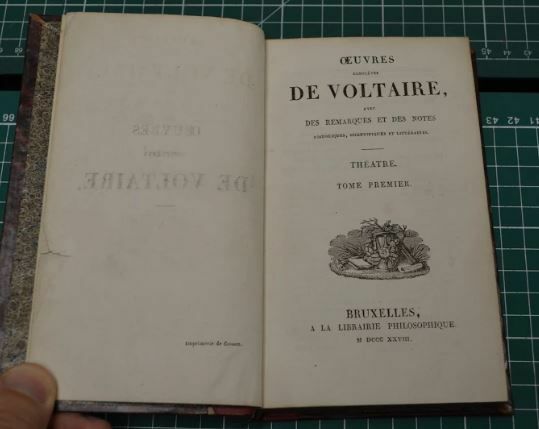 A satirical polemicist, he frequently made use of his works to criticize Christian Church dogma and the French institutions of his day. 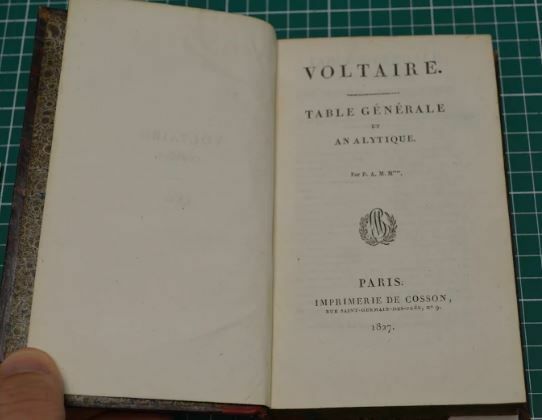 This magnificent and complete collection of his writings gives a comprehensive, beautifully printed and well-maintained insight into the Voltaire genius. 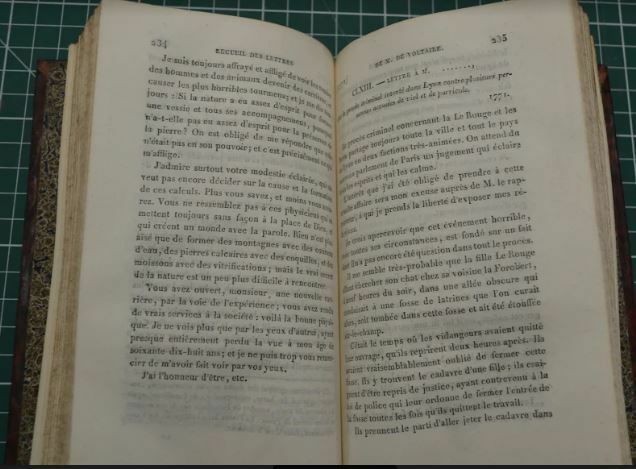 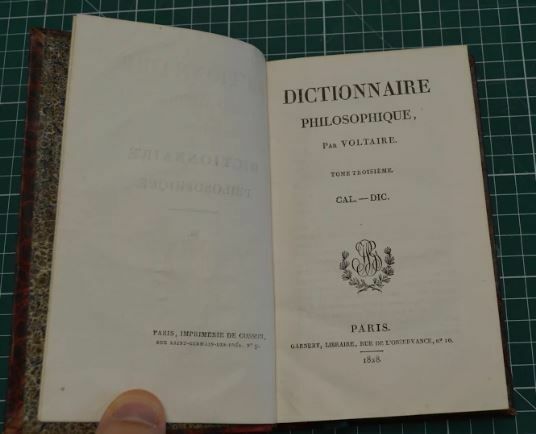 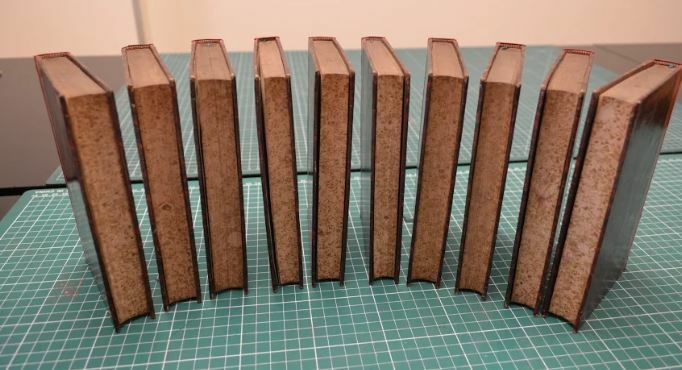 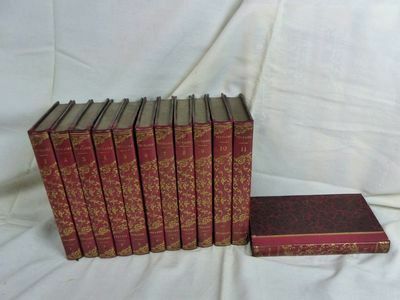 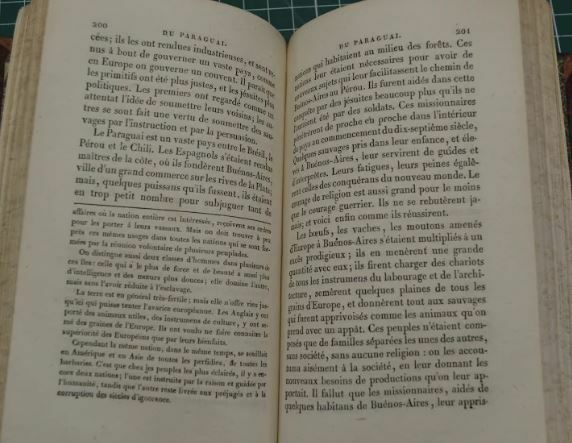 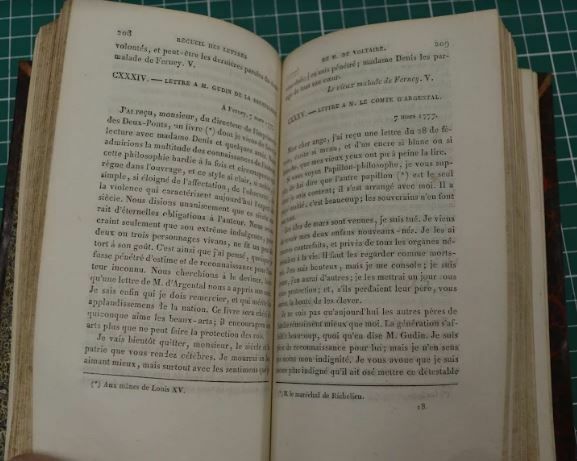 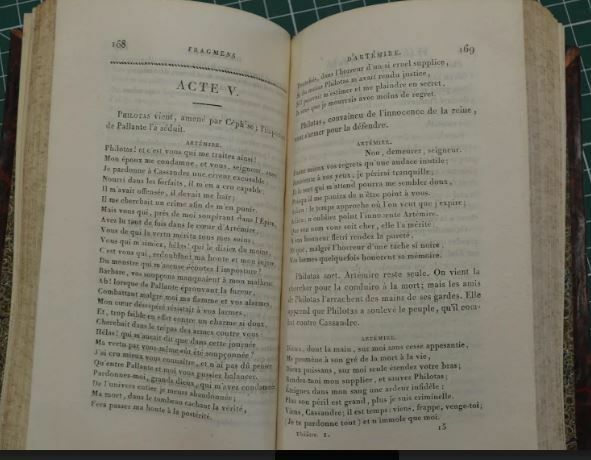 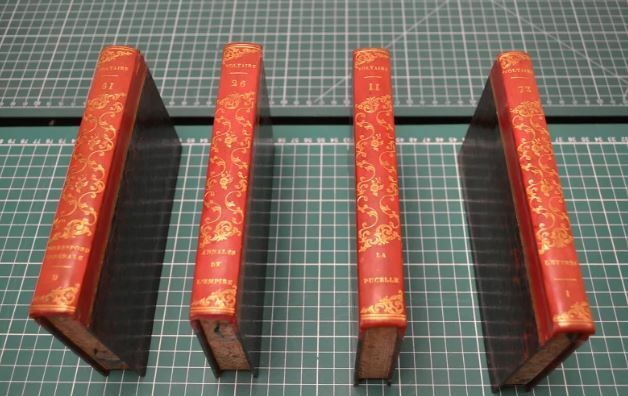 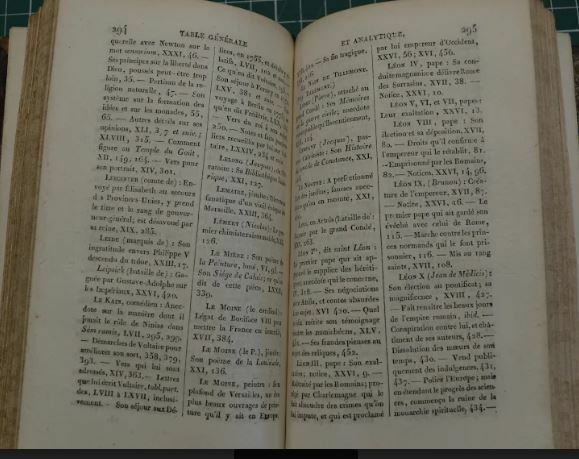 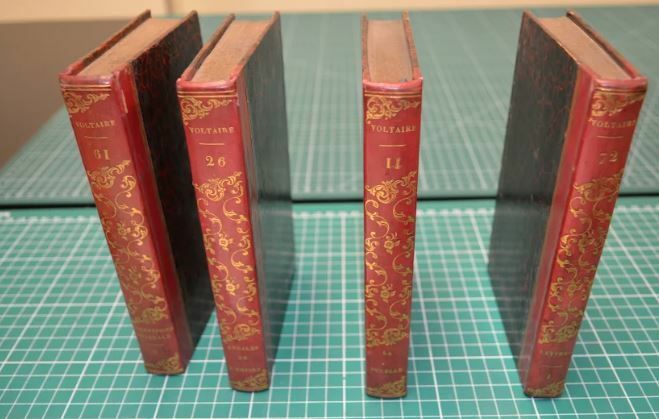 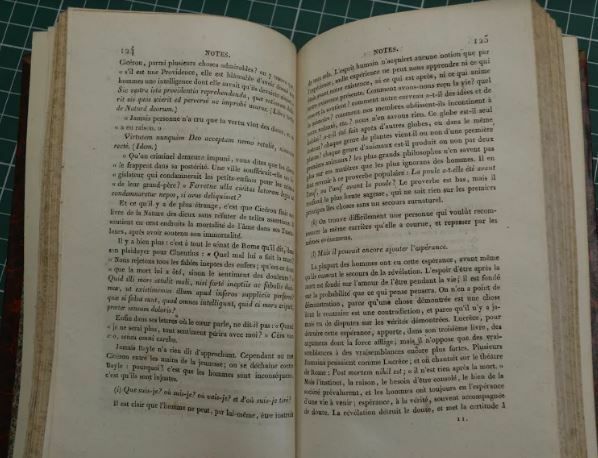 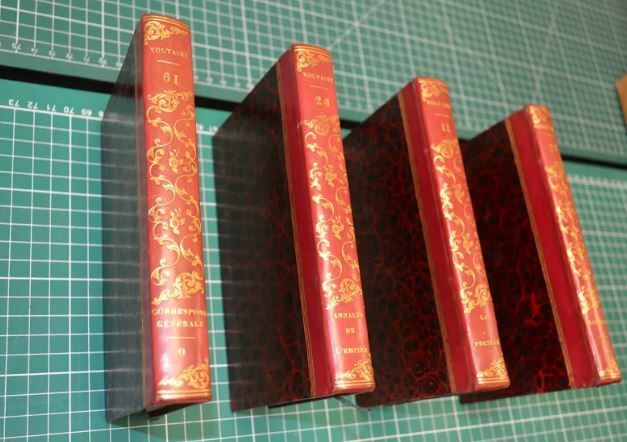 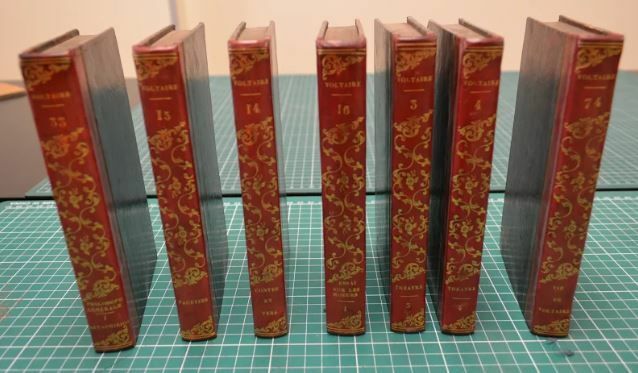 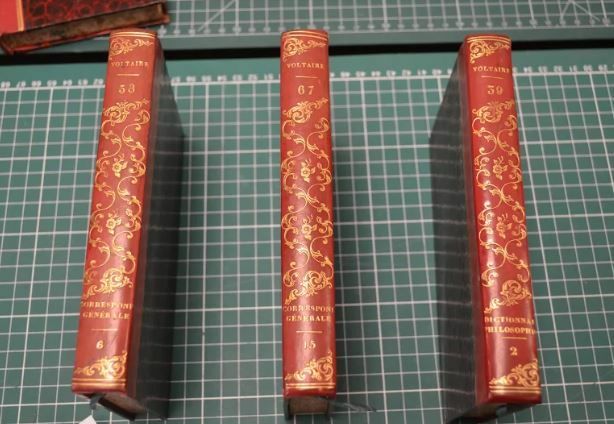 This is a complete and beautiful set of the works of Voltaire. 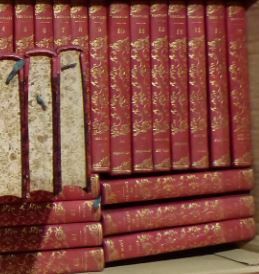 All the main works are here: histories, dramas, novels, poetry, reviews, natural philosophy, correspondence, criticism, biography… the list goes on. 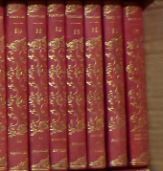 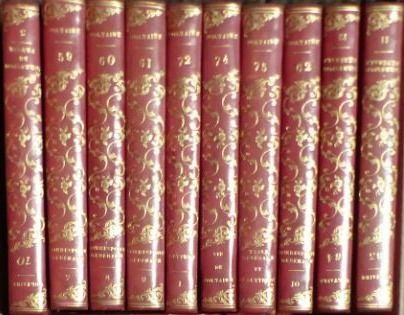 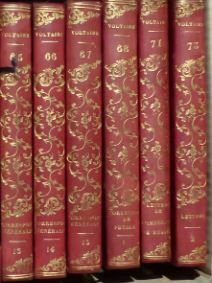 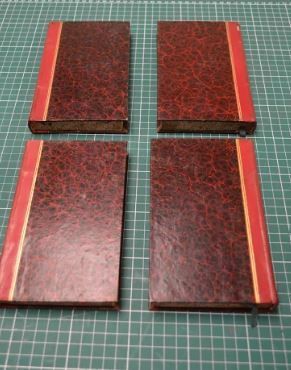 75 volumes, octavo in half calf, maroon-mahogany coloured, with pretty gilt decorations on the spines. 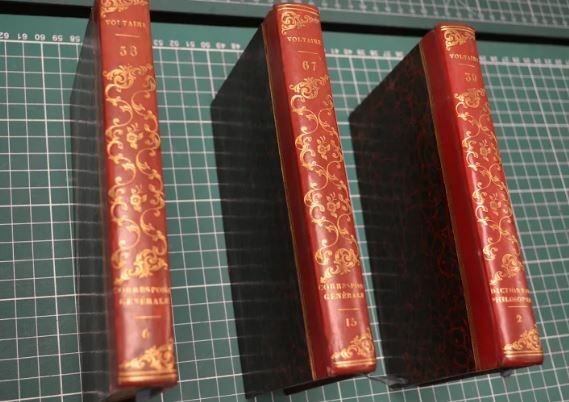 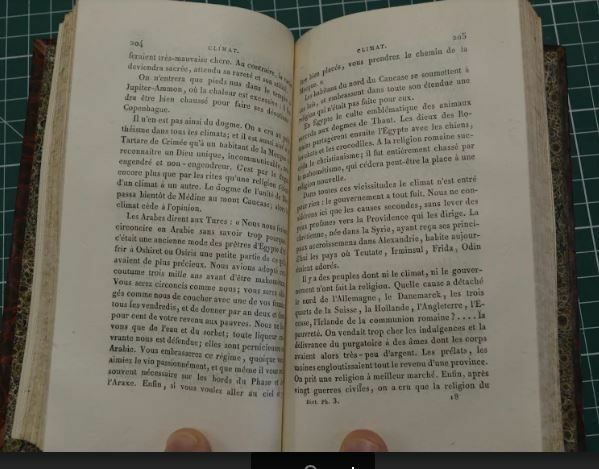 The volumes vary in length but most are around 400-500 pages. 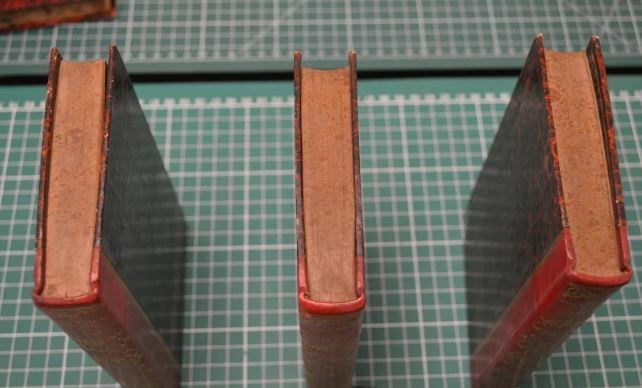 The books are in lovely condition, with the rarest of marks internally, as the photographs demonstrate. 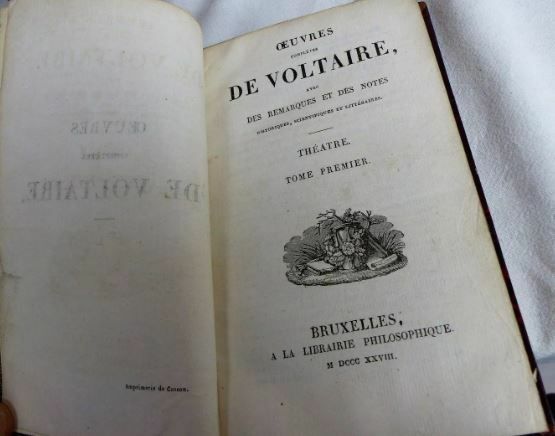 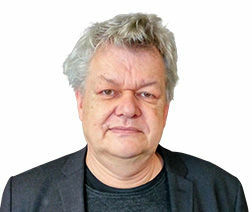 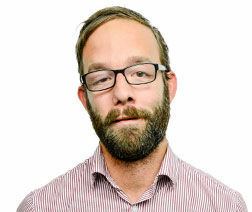 Here is the chance to meet the Enlightenment’s greatest thinker in the loveliest possible way. 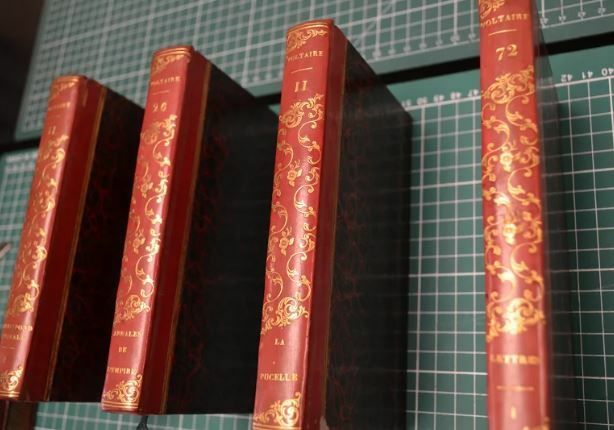 Shipping costs will be subsidised.